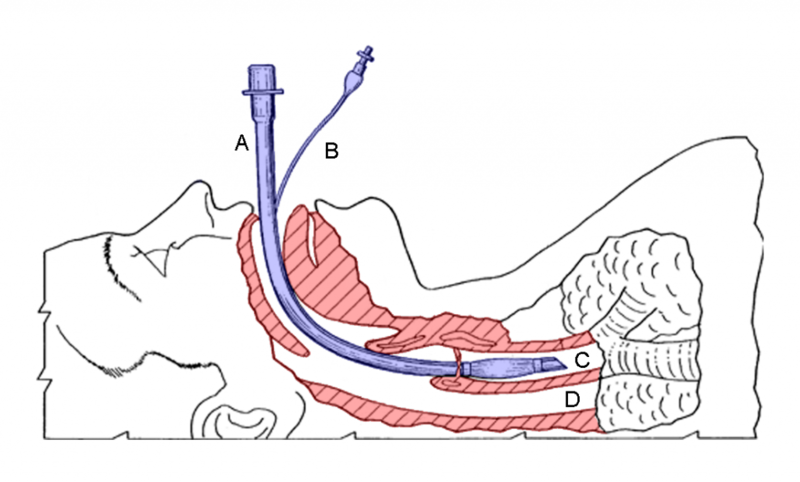 Should Paramedics have Endotracheal Intubation included in their scope of practice? Endotracheal Intubation is the most definitive airway in the prehospital environment and an essential tool for the critical care paramedic, but it should be used with caution. The idea of intubating to protect an airway, obtain an airway, maintain an airway, and in the cases of predicted airway decline is solid logic, but so is using the simplest and least invasive solution to ventilate your patient. If your patient is breathing and is able to maintain adequate oxygen saturations with a non-rebreather, attempting to ventilate this patient (let alone tube them) may cause more harm than good. If adequate ventilations can be maintained with an OPA / NPA or a supraglottic device such as an LMA, Combi-tube, or KING LT, taking it out to marmalade in an ET tube could also do more harm than good. With respect to RSI, use of paralytics can be helpful but not all intubations require a paralytic. If a paralytic agent will be used, the practitioner should be well versed in RSI and understand the increased risk associated with paralytic use. From a toolbox perspective, entirely removing endotracheal intubation from the scope of paramedicine would be a disservice to patients. Bad press revolving around prehospital endotracheal intubation is often due to overzealous practitioners intubating patients who don’t need to be, aggressive intubation attempts causing trauma such as broken teeth, and general incompetence, like not recognizing the tube has gone into the esophagus or forgetting to sedate and provide adequate pain control to a patient before giving them a paralyzing agent. When it comes to gross disparities between failure rates between provinces / states, this can often be directly correlated to local minimum requirements, training standards, general call acuity, call volume, and practitioner experience level.